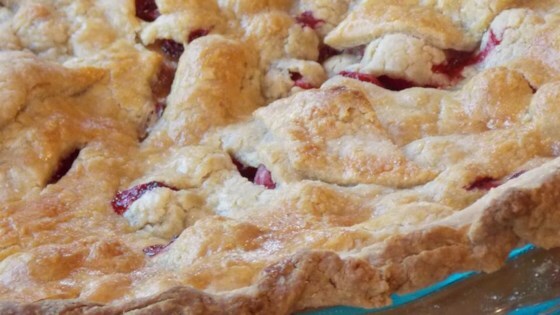 "This is a modified apple pie recipe my mother has had for years. I prefer a combination of Braeburn, Fuji, and McIntosh apples." Delicious! I added about 1/4 cup of coarsely chopped walnuts and about 1/2 tsp of orange zest. Even my picky mother liked it. I was worried about the cranberries but they baked just fine and their tartness combined with the sugar and apples in a delightful way. There were no leftovers!